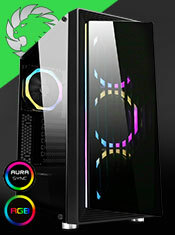 Game Max Centauri is a Midi Tower gaming case with a transparent side panel and with 3 x 120mm fans which can be fitted at the front giving the Centauri a unique style, whilst keeping the system cool. The front can also support a 240mm radiator. 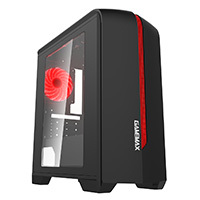 The I/O Ports are conveniently located at the top of the case, giving the user easier access and with an all black interior complete the luxurious and outstanding design of the Centauri. 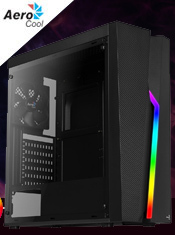 The Centauri is compact but has a big space allowing you to install graphic cards at a maximum length of 340mm, matching with MATX motherboards allowing you to save desk space by this latest designed chassis.